Poland has a great history of over 600 years in terms of education. Ten Nobel Prizes were granted to Polish specialists, researchers and other open figures. Maria Skłodowska – Curie is one of just four laureates to get a prize twice. These customs of academic excellence started from fourteenth century. The Jagiellonian University in Krakow was set up in 1364, as the second college in Central Europe. The present Polish colleges proceed with the wonderful conventions of their antecedents. Polish universities amongst the top universities in Europe and the world. Polish specialists, designers, planners and IT – authorities are acclaimed. Even though Poland is a part of the European Union and the polish economy is growing at a good pace ,still the average cost for basic items is fundamentally lower than in the greater part of the EU nations. An aggregate sum of 200-400 Euros is sufficient to take care of the fundamental expense of convenience, nourishment and transport. The normal tuition fees is around 3000-5000 Euro a year (contingent upon the field of studies), which is a couple of times lower than the EU normal. Poland government ensures more security for students than the vast majority of the European nations. Even the western European nations, considered as protected, have a lot higher crime rate than Poland. One more advantage off studying in Poland for international students, is that they can study and work full time without hesitation. 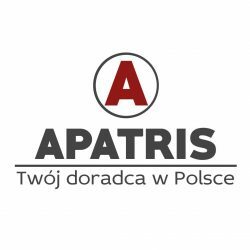 After completing your studies students can apply for a job as part of the polish work force and they do not have to apply for a work permit.